How do birds adapt to the foods they eat? Maple teachers Maria Valvoda, Kerry Spencer, Bobbie Jo Freeman, and Kelly Chiappone didn’t want to just tell their third graders how, they wanted to show their students how. They designed an innovative lab competition where students competed against one another using different instruments to replicate various bird adaptations. The lab was divided into a series of six challenges. Challenge #1: The students were given nectar as their primary food source. They were given four different sample beaks to choose from to see which would collect the most nectar. This included a spoon, chopsticks, a straw, and tweezers. Challenge #2: The students were given fish as their primary food source. They were given tongs, chopsticks, a straw, and a skewer as sample beaks to test which beak would collect the most fish. Challenge #3: The students were given sunflower seeds as their primary food source. The sample beaks included pliers, chopsticks, a staple remover, and tweezers to see which beak would collect the most sunflower seeds. Challenge #4: The students were given worms as their primary food source. They were given tongs, chopsticks, skewers, and tweezers to see which would collect the most worms. Challenge #5: The students were given small insects as their primary food source. The sample beaks included a spoon, a straw, pliers, and tweezers to see which would collect the most insects. Challenge #6: Finally, the students were given meat as their primary food source. They were given a spoon, a staple remover, pliers, and chopsticks to see which would collect the most meat. 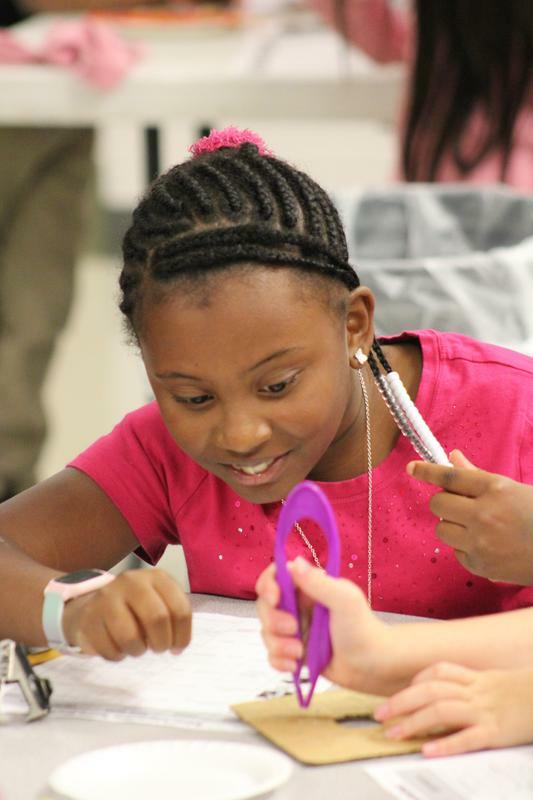 This lab taught students the role of animal adaptations in survival. A hummingbird as an example has a beak like a straw. The students were able to see first-hand why a hummingbird needs to have a straw like beak to survive in its environment. Applied learning can have a dramatic effect on retention of knowledge and comprehension. We are thankful to our Maple 3rd Grade team for developing this innovative lab to teach students in a way that was interactive, engaging, and fun.